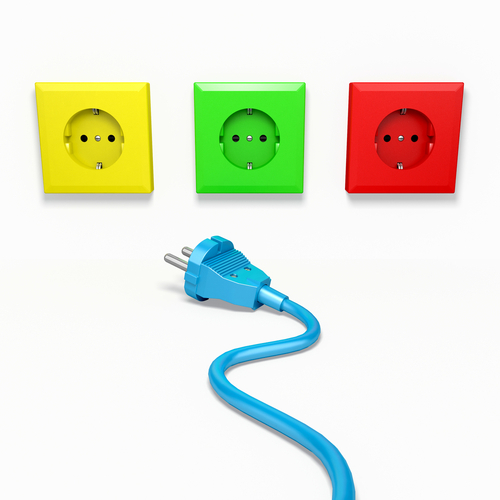 Every year the UK wastes £1.3 billion in electricity bills from items that are plugged in but are not being used. Energy is being wasted from personal computers, TVs and other gadgets, a new report shows. Britons are also watching 10 billion hours more television that previously estimated, which increases electricity bills by £205 million. Environment Minister Lord Taylor of Holbeach says, "Manufacturers need to develop more energy efficient electrical products and help consumers save money and the environment. We can all do simple things like switching off our televisions, computers and other home electronics and save up to £85 on electricity bill each year." The figures are contained in the Powering the Nation - household energy using habits uncovered study from Department for Environment, Food and Rural Affairs, the Department of Energy and Climate Change and the Energy Saving Trust. The research is the first to monitor and measure electricity in real time and reveals which electrical products are being used in the UK, how long they are used and how much power is consumed. A Household Electricity Use field trial was set up to collect data from 251 monitoring systems in UK households. It shows that single-person households often use as much, if not more, energy on some appliances as families. Greg Barker, Energy and Climate Change Minister, says using less energy will reduce carbon levels and individual bills. More href="http://www.earthtimes.org/encyclopaedia/environmental-issues/energy/">energy efficient electrical products are needed along with details about which appliances use most power during peak times, it is suggested. Chief Executive of the Energy Saving Trust, Philip Sellwood, says there is still a need for additional product innovation, advice to consumers and better labelling about energy usage, such as the trust's Recommended labelling scheme that provides data on energy efficiency. The UK government and European Union ensure Green Energy Labels are on all electrical appliances in showrooms, providing energy efficiency information. The full report, Powering the Nation is available for download. One way of helping save some electricity is by using Earth Times's free energy saving software for Windows PCs and laptops. The innovative Earth Times e+Green software can enable users to cut power consumption by up to 30%. There is no charge for the Earth Times e+Green program, as it is financed by short advertising videos for eco-friendly products and services. Only carefully selected companies that are green, ethical, fair trade or organic are permitted to advertise. A maximum of four sponsorship messages each day are shown in a panel on the Windows start up screen and the Windows Desktop. Users can control the sound level, if necessary. The e+Green program is 100% free of charge and totally safe and secure. It does not collect any data that can link any individual to any PC. For every download, e+Green gives a donation to Earth Times. Find out more about the e+Green software via our blog.